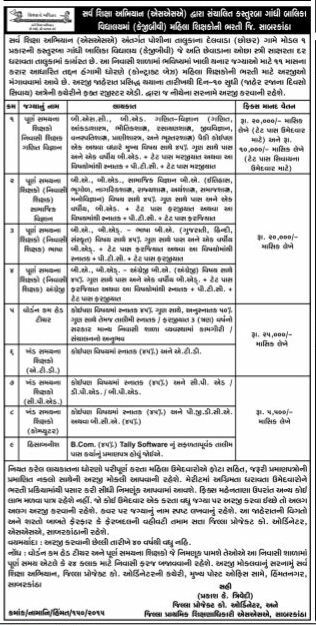 Kasturba Gandhi Balika Vidhyalay (KGBV) Sabarkantha invited interested applicants for various posts. The eligible application invited for the contractual basis, which will be renewed annually as per the demand. About KGBV: This scheme was launched by the Government of India in August, 2004 for setting up residential schools at upper primary level for girls belonging predominantly to the SC, ST, OBC and minorities in difficult areas.